Thanks to Matheiu Reynolds for a nice summary. Gotved’s triangle attempts to encompass the entities that make up out cybersocial reality. 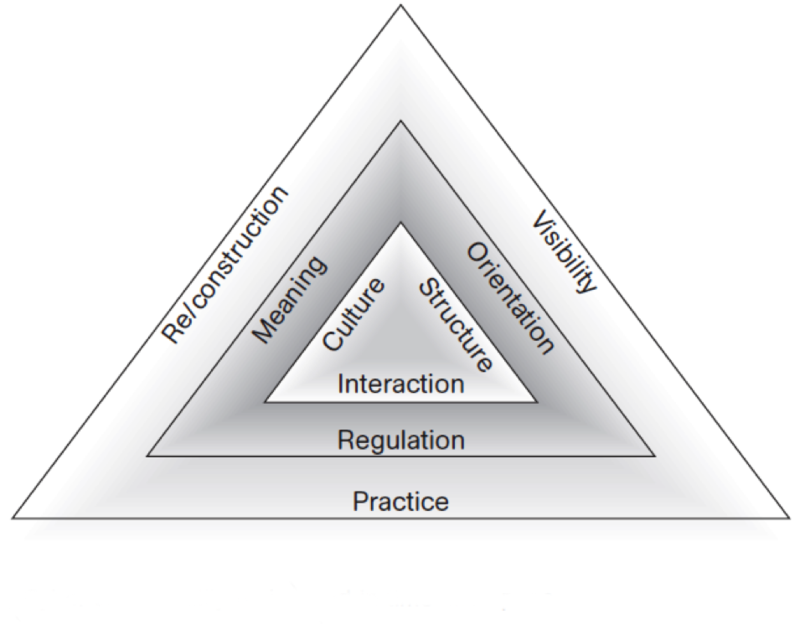 The first three, culture, interaction and structure form the initial triangle. When time and space is added, each of the initial three entities evolves and is influenced in some way. When looking at this triangle, I looked closer at the cybersocial reality for bloggers and fans interacting online. How is their reality formed online? Why have fans been able to take offline conversations and take them to a new digital arena? Were new rules created when fans developed this online community or did the same offline rules transfer over? Critical Cyberculture Studies (p. 168-178). New York: NYU Press.